Socks are an essential item for your feet that can give you a good or bad feeling on the court. Most players will buy high-end tennis shoes, but overlook their socks. Why should you care? This is like buying a Ferrari and putting unleaded gasoline in the tank. It may serve the primary purpose, but will not perform the best over time. Buying high-quality socks will allow your feet to feel more comfortable on court and help you perform better under pressure. Obviously there are many different brands of socks to choose from and ultimately this makes it harder. However, this blog is here to help you identify some of the best performance tennis socks on the market. 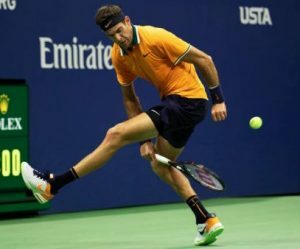 On the left is Juan Martin delPotro hitting a tweener in the Men’s Championship match at the 2018 US Open (Sept. 9, 2018 – Source: Al Bello/Getty Images). On the right is Novak Djokovic stretching to hit a slice during the Men’s Championship match at the 2018 US Open (Sept. 9, 2018 – Source: Jaime Lawson/Getty Images for USTA). 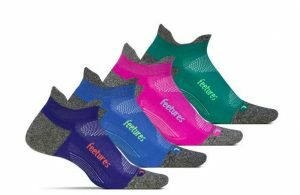 Feetures is a brand that started in the running industry, but has slowly started making an impact in tennis when it comes to socks. 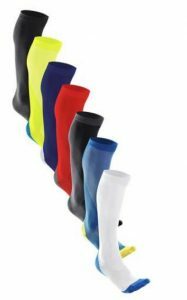 Their socks feature iWick technology, targeted compression and extra cushioning all in a lightweight package which has helped them become very popular. 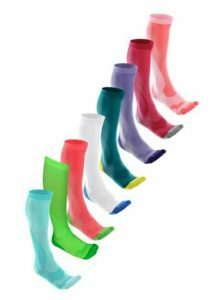 Feetures designs their socks to be thinner than any other brand, but still have high levels of protection and comfort. The Elite Light Cushion Sock is perfect to meet your tennis needs and provides you with the best overall performance on court. The iWick technology along with lighter weight allows you to keep sweat off your feet and feel connected to your shoes. These socks have a tighter fit than normal due to the targeted arch compression. This compression is necessary to give your foot added support as you move and leads to less pain after you play. Although Stance has not been around that long, it has set a high standard for quality performance socks. All of their socks utilize Feel 360 Technology to give customers the chance to wear them more often for longer periods of play and feel the same every time. 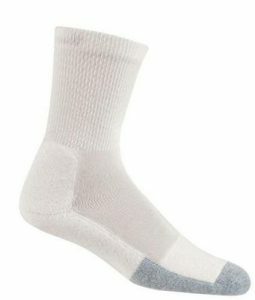 These socks have anti-odor protection so your feet won’t have to worry about trapping in bacteria after sweating a lot and enabling a fresh smell every time you wash them. Like other higher end socks there are moisture wicking properties that move sweat away from the skin to keep your feet dry longer. What makes these socks better than average though is its ability to move sweat 20% faster than other brands. We have known Nike to be a great shoe brand, but do their socks actually make a difference in performance? The answer is Yes! Whether you like a no-show or crew style, the NikeCourt Essentials Tennis Socks are great for all players in today’s game. 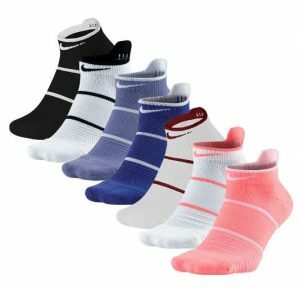 These top of the line socks are made with their signature Dri-FIT technology which moves sweat away from your feet to keep them dry and comfortable while you play. This is a necessary benefit especially when you play in hot and/or humid outdoor temperatures. 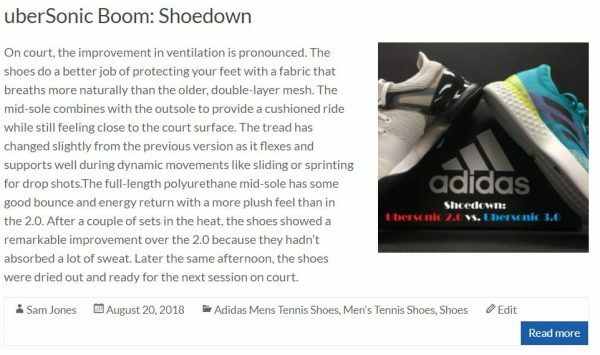 Additionally there is breathable mesh at the top of the foot to increase ventilation and extra cushioning at the toes and heel for added comfort. 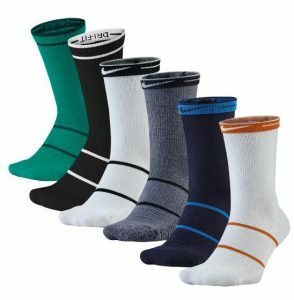 These socks have a tighter fit to them so you can feel more supported and locked in when you move in your tennis shoes. Thorlo, Inc. is an established sock company that has been determined to be the best sock brand ever. Lots of players swear by this brand because their socks provide great cushioning and shock absorption which are essential to tennis players. 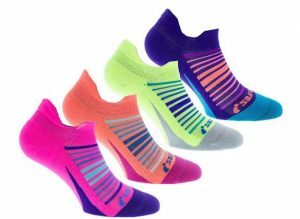 The Level 3 Crew Sock is their original tennis sock which gained popularity for its thick bottom cushioning, shock absorption and ultimate foot protection. However, these socks are very thick and as tennis shoes became lighter there was a need for Thorlo to create a thinner performance sock. Thus the Level 1 Crew Sock was born and has taken off ever since. This is their perfect tennis sock as it keeps all of the same performance benefits, but isn’t as thick allowing them to provide more breathability and ventilation. For any customers that don’t like the feel of higher crew socks there are also mini-crews or mico-minis. Finally, for players that want something a little bit different check out 2XU’s Compression Performance Socks. 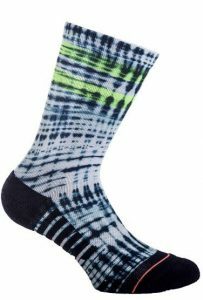 Two Times You features PWX technology in their fabrics making their socks highly powerful, durable and flexible. 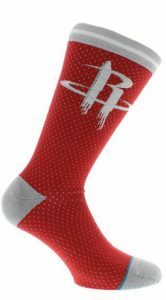 As you continuously play in these socks you will improve your blood oxygen levels, have faster muscle warm up, and reduced fatigue/muscle soreness. Additionally there are antibacterial and UPF 50+ properties that work to keep your feet fresh longer. There are many different colors for men and women to choose from allowing you to match with any of your clothes. Note that these socks will fall just below the knee when fully extended ideal for helping your calf and feet recover faster. Don’t just settle for socks that are low budget and cannot help you perform your best under pressure. Invest in some of the pairs mentioned above so you don’t have to worry about wet feet or weird odors in your shoes. 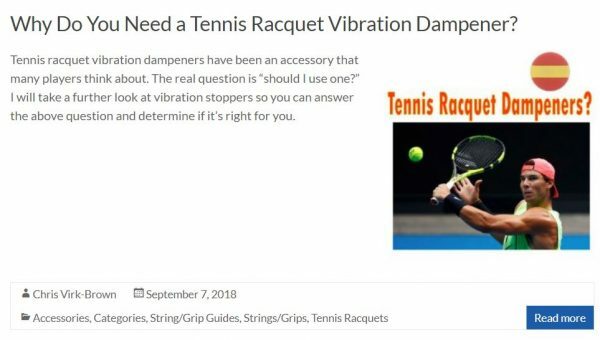 Performance tennis socks are here to help you! Background: I started the game of tennis in 9th grade after playing basketball and baseball. Through hard work and dedication, I played four years on my varsity team at Liberty High School in Eldersburg, MD, while also playing junior tournaments whenever I could. I was fortunate enough to get recruited to play at Neumann University and play four years of Division III collegiate tennis. While at Neumann I was able to obtain my degree in Marketing and help our team advance twice to the NCAA tournament. 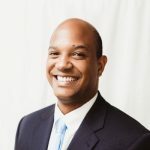 After obtaining my undergrad degree, I was able to pursue my Master’s degree in General Management at Elmira College and coach collegiate tennis. Later I went on to coach at Cabrini University and then teach in a variety of incredible venues with Peter Burwash International. Now, in my spare time, I mostly play USTA Leagues and Tournaments to continue enjoying the game I love.